Water is an essential part of life, but it can cause a lot of damage in a short period of time. If you have a leak or flood, regardless of the cause, you may be feeling a lot of stress. In fact, many people don’t know what to do when a problem like this occurs. If you have a leaky pipe or clogged drain, get a plumber to your property as soon as possible to get it fixed. The next step is contacting someone to provide damage restoration services. When you’re dealing with water damage, immediate action is absolutely essential. At AdvantaClean of West Knoxville, we respond quickly to water damage restoration calls and use equipment and innovative techniques that remove water rapidly. Once we eliminate the majority of the water from your home, we will closely monitor and document the entire drying process to ensure that your home is dried thoroughly and properly. Our water damage restoration professionals are the cornerstone of our company. Not only do the professionals on our team have extensive damage restoration experience, but we are also focused on helping you recover in the aftermath of a disaster. It is our goal to make the water damage restoration process as easy on you as possible. 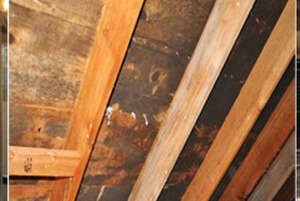 One of the biggest concerns that comes with water damage is the increased risk of mold growth. Mold can grow in dark, damp areas, such as behind the walls, between the floors, or in attics, basements, and crawlspaces. Many people suffer from allergies to mold, so having it growing in your home can lead to allergic symptoms, such as congestion, sore throats, or headaches. At AdvantaClean of West Knoxville, one of our main priorities is providing clean, healthy air for you and your family to breathe. Part of the water damage restoration process involves testing for mold and making sure your home doesn’t contain this potentially dangerous substance. Although our restoration professionals will make the water damage restoration process seamless and efficient, there are many other reasons why you should allow our team at AdvantaClean of West Knoxville to handle your water damage restoration needs in the Knoxville, Tennessee area. For example, we use advanced equipment that can detect hidden moisture, eliminate standing water quickly, and thoroughly dry and clean your property and belongings. At the conclusion of every job, our team members finish the job by deodorizing and sanitizing the affected area for your safety and comfort. If your home incurs water damage after a flood or another unfortunate event, don’t hesitate to reach out to us at AdvantaClean of West Knoxville. Our water damage restoration services are available 24/7, and there will always be someone ready and waiting to take your call. Contact us at any time for any urgent need that may arise. Our team includes certified mold inspectors, as well as certified remediation contractors. When you have any type of water damage, our experienced restoration technicians can take care of the problem as quickly as possible.